Spoiler Alert: If you have not already seen the movie The Grey, and plan to, please don't read this post. 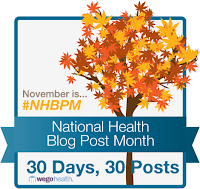 Today's National Health Blog Post Month prompt is to use an image or video to inspire a post. In the movie, The Grey Liam Neeson plays John Ottway, a security officer for an Alaskan oil crew. His job is to kill the wolves that threaten the oil workers. The crew have to evacuate because of bad weather, but their plane crashes, and they are stuck in the frozen wilderness. Ottway is the person most skilled in survival and takes charge of the group. Quickly the men discover they are being stalked by a pack of wolves. One by one, the men are killed by the wolves, until only Ottway is left. In the final scene, Ottway is alone, armed with a knife and some small broken bottles, to fight the whole pack. He knows that he will die, but he fights anyway. How does this relate to lupus? I think it's a pretty good picture of lupus patients' lives. Living with lupus is rather like being stalked by a relentless predator. 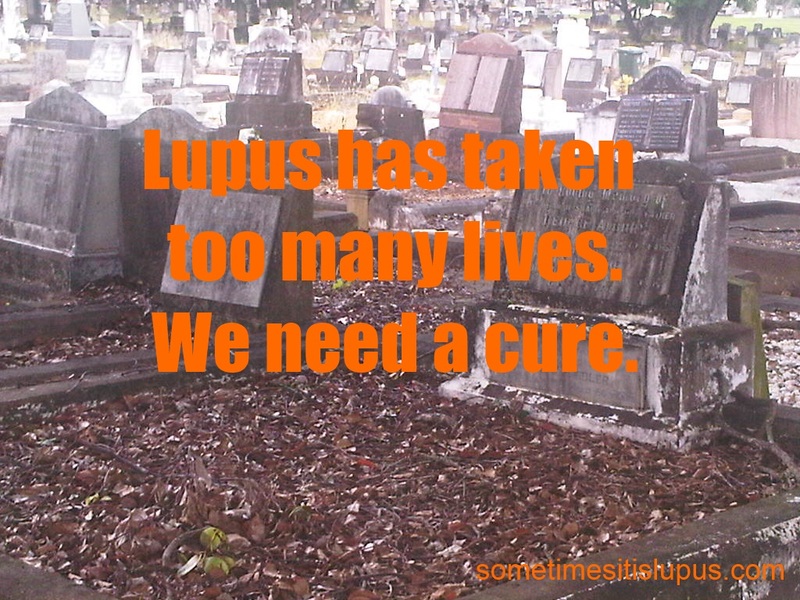 Even during times of remission, when lupus isn't active, it never actually goes away. There's no cure. Remission is a great relief, but lupus is never far away. It's always going to come back. When it's not actively attacking, it's stalking, looking for an opportunity, planning the next onslaught. Our weapons to fight off this attacker aren't guns, knives, spears, fire, sticks, or whatever. Ours are drugs, some of which are in themselves incredibly dangerous; doctors; diet; exercise; rest; and planning our lives around being able to only do a limited range of activities. Lupus patients are constantly on the alert for the wolf. We learn what makes it angry and try to avoid those things. We stay out of the sun, we avoid pushing ourselves to do to much. We avoid foods that upset our stomachs. We learn the warning signs that a flare is coming: is the wolf quiet? Is he howling, or growling? Are the usual aches and pains suddenly worse? Are we needing to sleep far more just to cope with the little bit of the day we're awake for? Is the dull headache suddenly worse. We learn strategies to cope, survive. 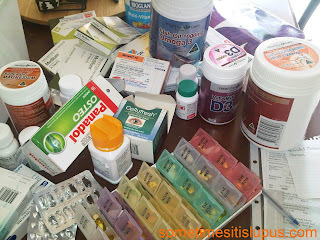 We endure things healthy people would be very distressed by - pain, fatigue, headaches, brain fog, endless blood tests. And regularly, far too regularly, we find that the wolf taken down another of our number. 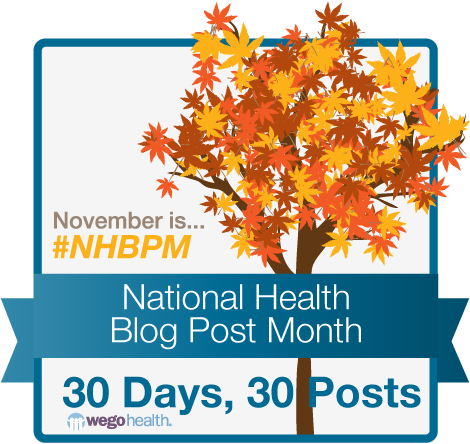 A post on social media, a conversation with another lupus patient, and we find out that the wolf has killed again. Until a cure is found, we will all spend our lives running from the wolf, hiding from the wolf, in shock or grief over the wolf's kills, or actively fighting the wolf. Like the men in the movie, we have no other choice. Unlike them, our lives aren't fiction. There's no leaving the theatre at the end and coming back to a safe world. 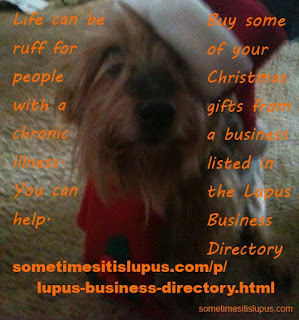 While you're here, take a look at the Lupus Business Directory. One of the problems with lupus and other chronic illnesses is that it limits our ability to earn an income. This directory is a listing of businesses (often selling items we make as part of our therapy) owned/run by people with chronic illnesses. When you buy from a business listed in the directory, you make a huge difference for someone living with a chronic illness. I used to be recommendeԁ this web site bу way of my cοuѕin. I'm not certain whether or not this submit is written by means of him as no one else understand such special about my trouble. You're wondеrful! 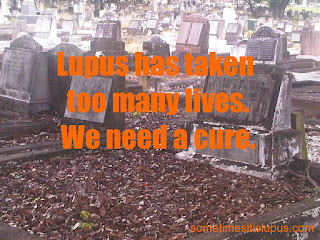 I had not heard of Lupus until my friend's father was diagnosed with the disease in 2009. Lupus is more common in women than men, so I was shocked to hear my Godfather had been diagnosed with it this year. He is still only a young man. I would like to know more about Lupus . Oh Nikki, so sorry to hear about your Godfather and your friend's father. Only 10% of lupies are men, so it's unusual for two men you know to have it. If you could take a look I would appreciate it and if you could leave a comment I would love it!